Raising money for cancer research might seem a daunting, even intimidating, prospect. But for Minneapolis pianist and composer George Maurer, it’s as easy as riding a bike. With one small catch: Maurer’s not just riding around the block. His annual Carolyn A. 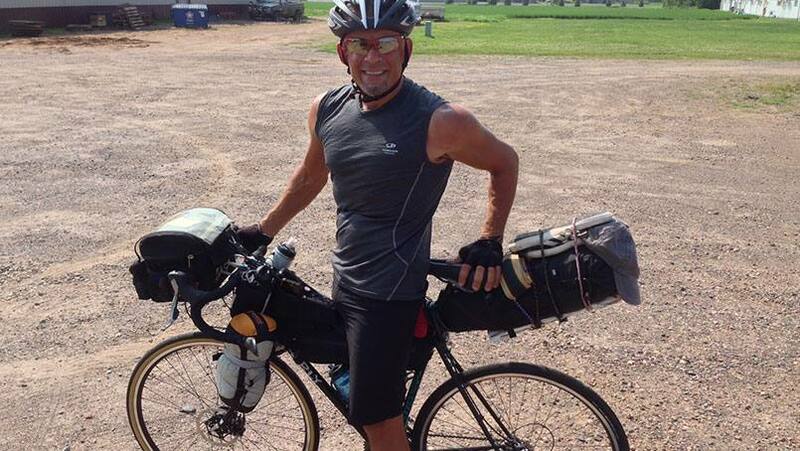 Held Memorial Bike rides have taken him across the country and to the top of Pike’s Peak. This year's ride will take him all the way to Iceland. Along the way he’s raised more than $30,000 for cancer research in honor of his friend who passed away from the disease in 2012. Including George, who after Held passed away at the age of 72, decided to “re-create” her initial ride across the country to honor her memory and to help raise money for cancer research. “That’s when it all began,” says George, who worked with Mayo Clinic staff to set up a memorial in Held’s name. George “started that first ride with a goal of raising $10,000 for cancer research at Mayo,” he says. It was a goal he more than doubled, and in fitting fashion. “We reached $21,000 that first summer,” George says. “I did the ride in exactly 48 days, too, and ended at Fenway Park in Boston as a way of celebrating another of Carolyn’s loves: baseball.” A second journey took him from San Francisco to the top of Pike’s Peak in Colorado, and pushed his fundraising over $30,000. You can follow George’s journey via daily blog posts, tweets, and Facebook posts he’ll be posting throughout the trip. And if you’d like to help send him off, Mayo Clinic will be hosting a “50 Across Iceland Kick-Off Event” for him this Thursday, June 30, at 4 p.m. at Mayo Clinic Square in downtown Minneapolis. You can kick things off with us by sharing your comments below and by using the social media tools above to share this story with others.